When we think of gathering family and friends over food, in Australia, we immediately think of holding a BBQ in the backyard. The significance of BBQs to Australians is the same as what making crepes are to the French. Instead of flipping sausages on the barbie, they flip crepes into the air. 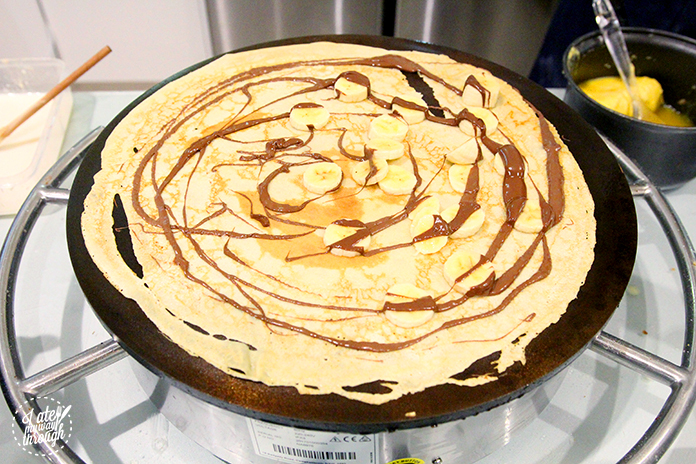 In France, everyone brings something to contribute to the crepes such as fillings for their crepes (I imagine that at least one person shows up with a tub of Nutella). 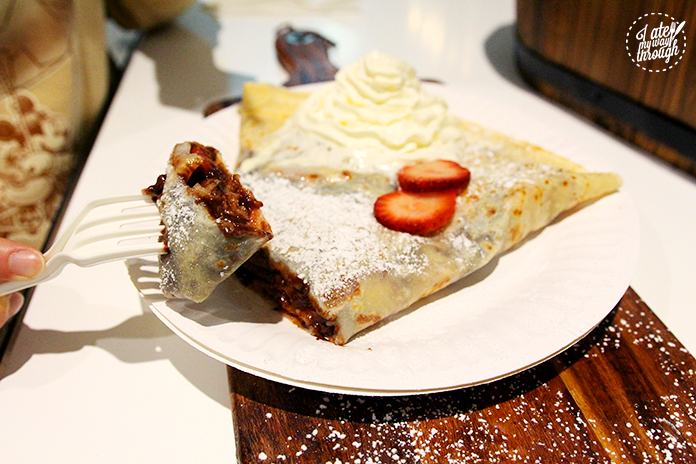 French Kiss Creperie in Parramatta Westfield brings this French tradition to Australia. The franchise was founded in 1919. 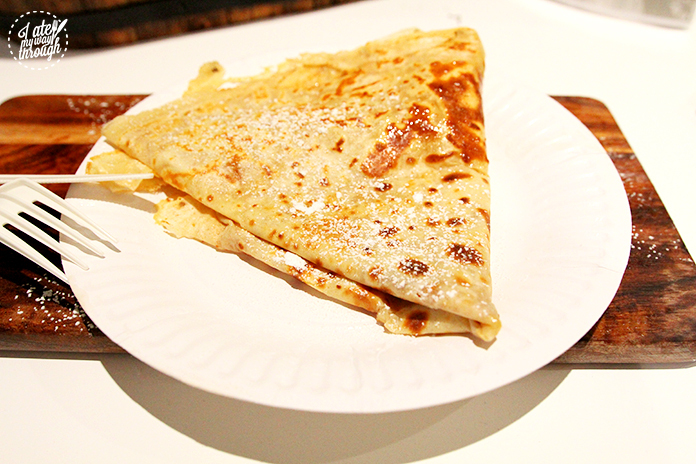 The crepes are perfect for breakfast, lunch or just anytime of the day as they serve sweet and savoury crepes. Usually sweet crepes are eaten at breakfast and savoury crepes at lunch (but no one’s telling you what and when to eat, they’ll just give you weird looks). 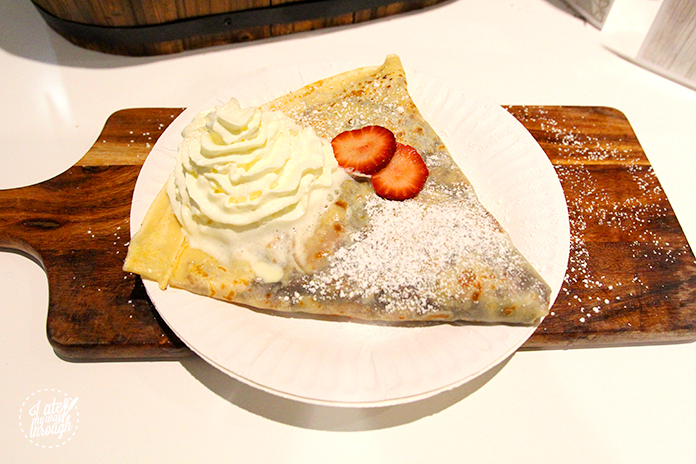 When you visit French Kiss Creperie in Parramatta, you will feel like you’ve become part of a family as they embrace French hospitality which consists of treating everyone like family. 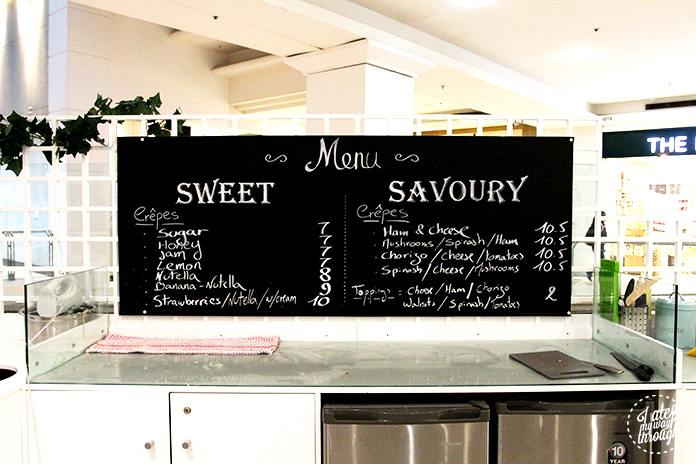 Each French Kiss Creperie is run differently according to the owner of each store, and each has a different, customised menu. 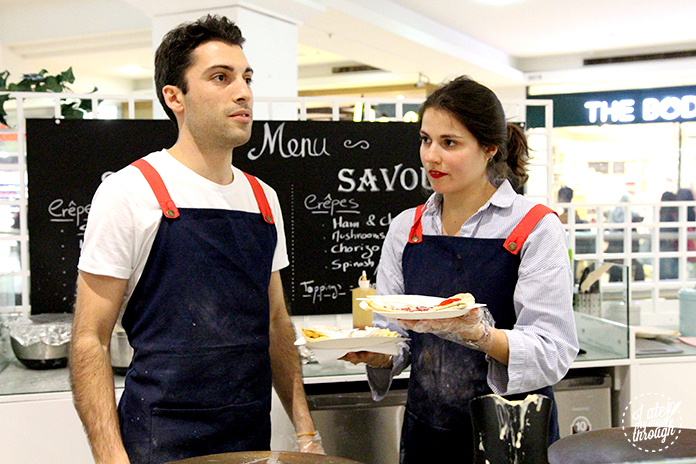 But the creperie in Parramatta wants to keep it as authentically French as possible. Michael, the owner of the Parramatta store, was born in France and wants to bring French culture and cuisine to the people of Parramatta. The staff in the store are also French, so you know you’re getting the genuine French experience. Michael has observed that a lot of places in Sydney that serve French cuisine are often fine dining or set in a luxurious environment. He wanted to expand people’s perception of French cuisine and introduce a more authentic and relaxed setting for French food. When I think of crepes, I think of the over-the-top crepes usually served at dessert bars that are slathered in ten million sauces with three scoops of ice cream then top with a mountain of syrup and dusted with a layer of icing sugar. 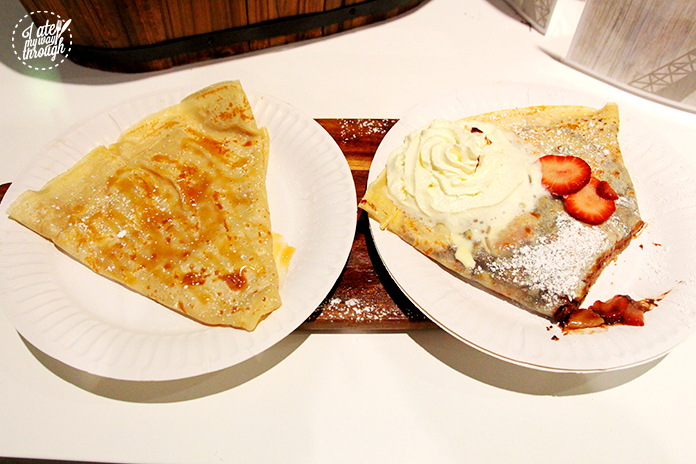 But push this image out of you mind because the crepes at French Kiss Creperie are nothing like this. The crepes are simple and elegant without lacking in flavour. Michael imports flour from France to use in the crepe batter. The sweet crepe batter consists of egg, flour, milk and vanilla. The savoury crepe batter is made from the same ingredients except for the vanilla and replace the sugar with salt. Savoury crepes are typically eaten more in Northern France whereas sweet crepes are consumed more often in the middle and south of France. Everything is handmade and prepared by the staff and the ingredients for the fillings are bought twice a week from fresh food markets all over Sydney by Michael himself. The store’s specials change weekly depending on the freshest, seasonal produce at the time. 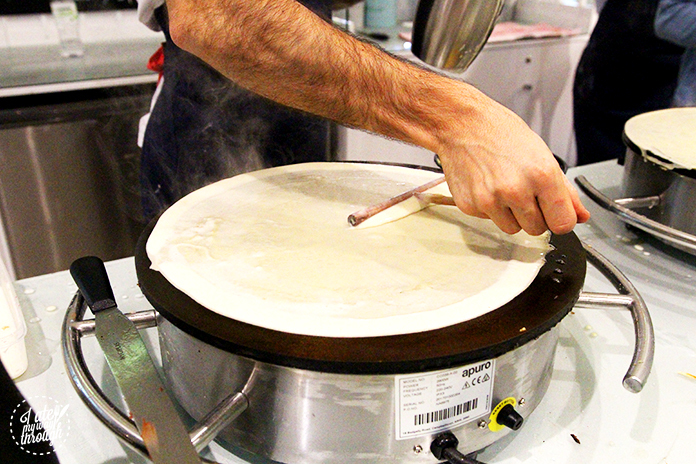 The process of making crepes seems simple, but it is an art that takes time to perfect. The hot stove is first brushed with butter, then the velvety crepe batter is poured into the centre. Next, the batter is spread out into a circle with a rozell. 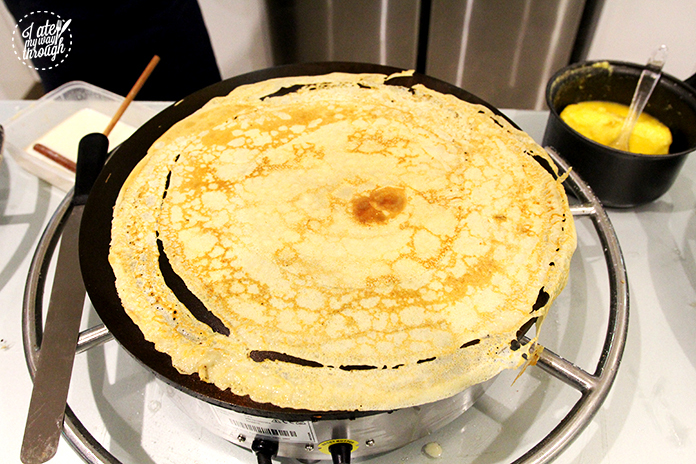 After a minute or so, lift a part of the crepe to check whether the underside is golden brown. 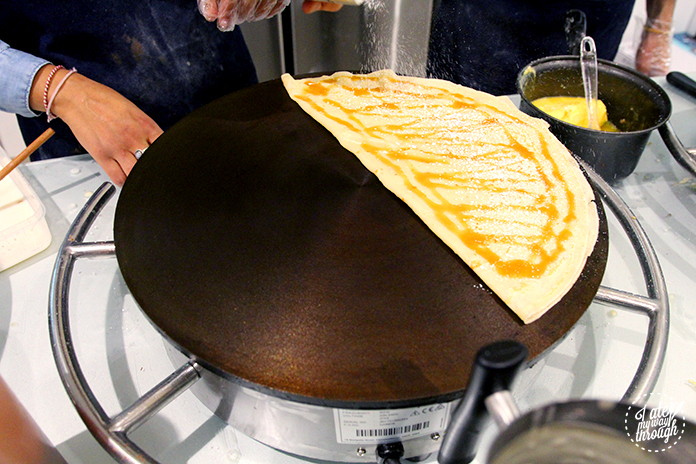 If it is, flip the crepe over then proceed to add whatever fillings you want to one half of the crepe. After that, fold the crepe in half and then into thirds. 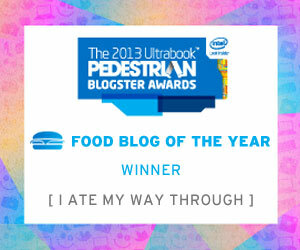 Eat while it’s hot! Fun fact: if the crepe is golden brown when cooked, that means that there is sugar and egg in the batter. But if the crepe is white with no caramelisation, then the batter just consists of flour and milk. 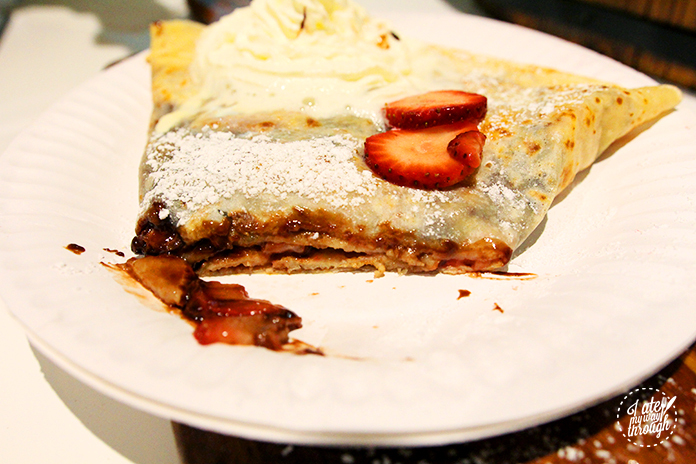 The first crepe we tried was a sweet crepe with strawberry and Nutella. 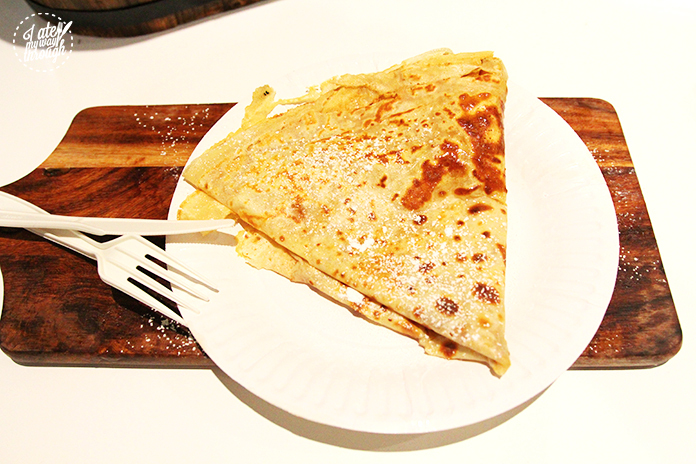 The crepe was so thin and soft that it practically melted in your mouth. There was the perfect amount of Nutella, not too much or too little (although you can go wrong with too much Nutella), as well as refreshing strawberries to add some freshness to the crepe. A light dusting of icing sugar went on top as well as a generous dollop of whipped cream. From my previous experiences with crepes, I have often found that they are too sweet and I would struggle to finish it. But these crepes tasted so light and healthy that I could’ve eaten a dozen of them (with no ragrets). The next crepe was also sweet but it was extra special as it was made with homemade salted butter caramel homemade by one of the staff. 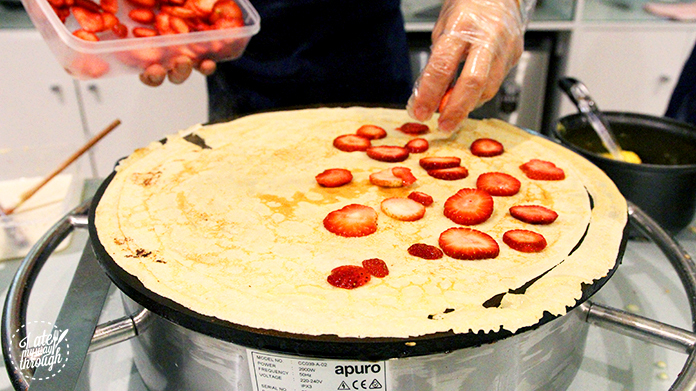 The family at French Kiss Creperie Parramatta love experimenting with different flavours and combinations, so make sure to keep an eye on their specials. 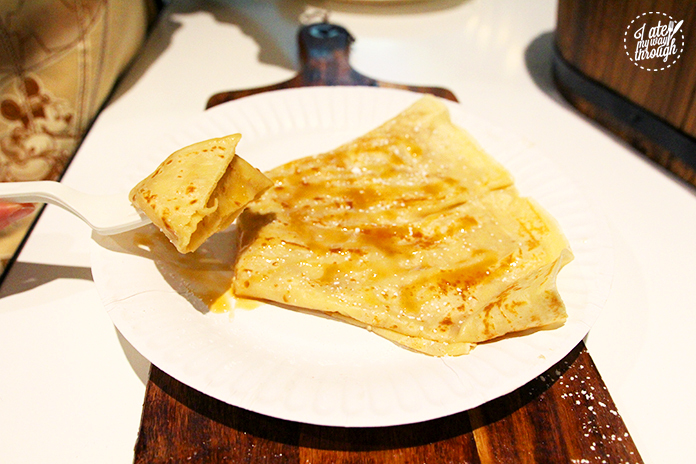 The crepe was once again silky and fluffy but the salted butter caramel stole the show. The caramel was aromatic and perfectly sticky with a slightly salty aftertaste which highlighted the burnt caramel flavour in the sauce. This crepe won the hearts of my friends. The last crepe of the day was the most simplistic but it was my personal favourite. It was the lemon and sugar crepe. This type of crepe is commonly eaten during summer as the lemon makes for a refreshing snack for a hot summer afternoon. 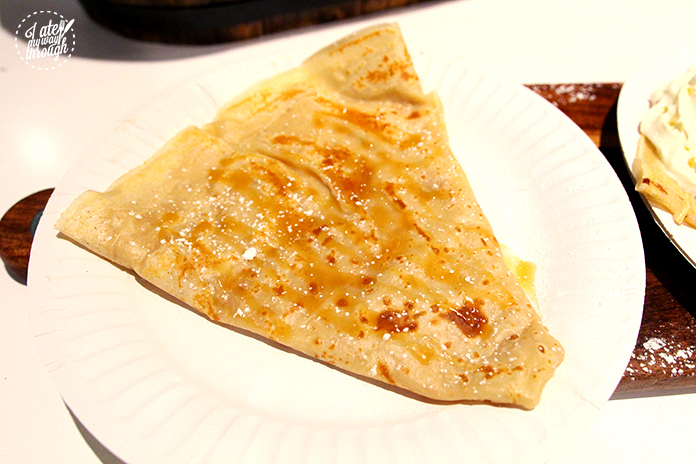 The lemon in the crepe wasn’t sour as it was caramelised with the sprinkle of sugar. If you love combining contrasting flavours like sweet and sour pork or sweet and salty popcorn (do yourself a favour and try it if you haven’t already). This crepe is a classic French treat to have on a hot summers day. Just imagine sitting on the beach and biting into a soft, feathery crepe with a hit of sweet, sourness to distract yourself from the humidity. 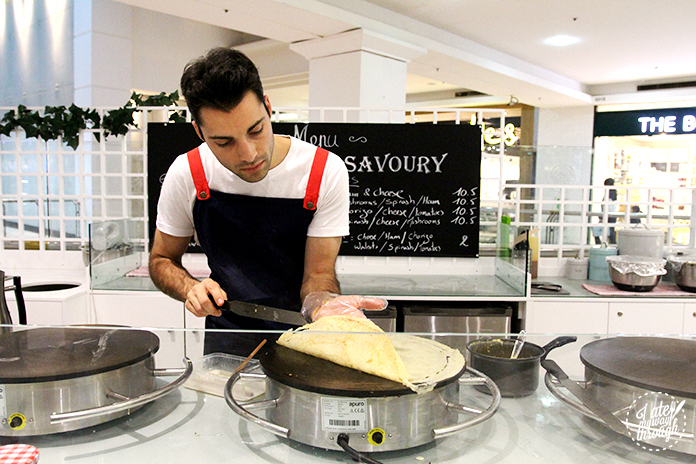 Michael’s aim when opening French Kiss Creperie in Parramatta was to introduce French cuisine to areas that have limited exposure to French culture. 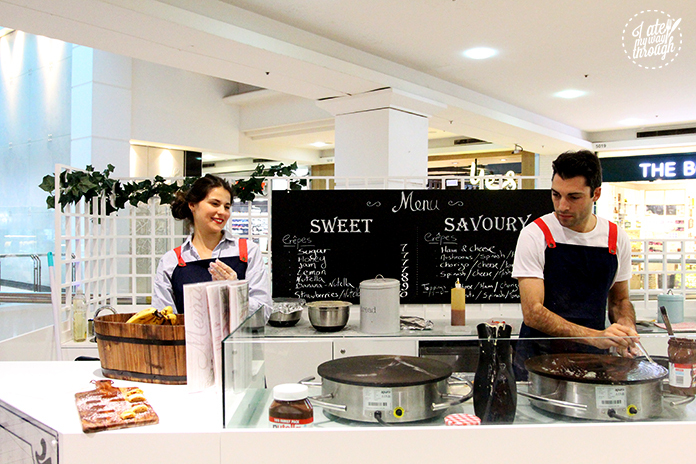 His goal is to expand the French Kiss Creperie franchise to Queensland and New Zealand. 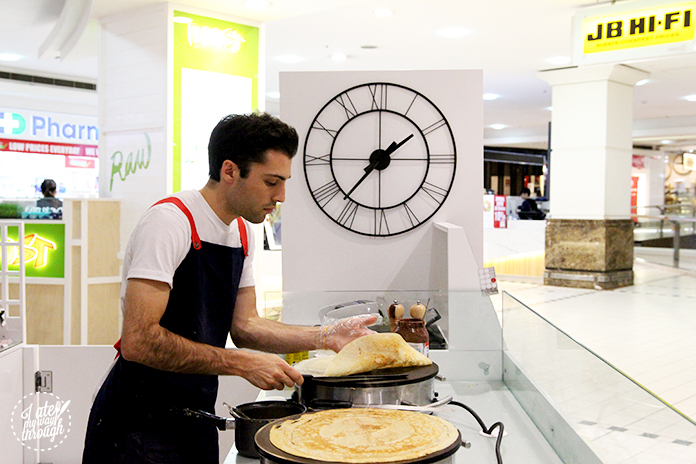 If you want a taste of authentic French crepes and hospitality, French Kiss Creperie in Parramatta will look after you. With their friendly service and delicious crepes made freshly in front of you, there’s nothing to lose (except maybe a few kilos if you ate too many crepes).